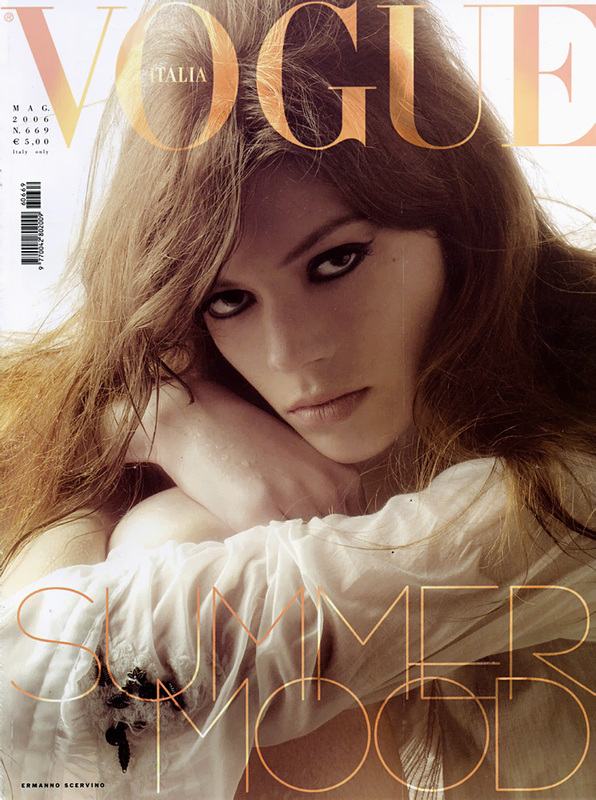 July 30, 2006 -- A stunning 19-year-old cover girl - a ringer for Kate Moss but her polar opposite in attitude - died in a fiery auto accident on a New Jersey highway after a Manhattan photo shoot. Heather Bratton, a dark-haired catwalker for fashion labels Chloe and Miu Miu whose seductive, sultry look had taken the European runways by storm, was killed on July 22 when her car-service limo broke down in the middle lane of the New Jersey Turnpike and was rear-ended by a Toyota SUV, her family said. Both cars erupted into flames, and Bratton, in the back of the Ford Crown Victoria, never made it out. Authorities did not immediately identify the teen, and news accounts of the crash were sketchy, but word of the stunner's death began to seep out through the fashion world later in the week. "She flew up [July 20] for a photo shoot for W magazine," said her stepfather, Tim Kerrigan, in a telephone interview from the family's hometown of Wesley Chapel, Fla.
"She was supposed to fly home [the next night], but the area got into some stormy weather, so she got a 7:30 a.m. flight on Saturday [from Newark Airport]. She took a cab from her hotel in New York." The family - mother, Kerrigan and four brothers and sisters - was packing Friday for a trip to South Carolina, where Heather was to be buried, Kerrigan said. Bratton's driver, Selim Koskar, 30, of Brooklyn, suffered burns on his entire body and was in critical condition at St. Barnabas Hospital inLivingston, N.J. Two other people were injured in the crash. Bratton, who was born in West Virginia and raised in the Tampa area, was signed last year by the international modeling agency Women Management. "She told me when she was 12 that she wanted to be a model," Kerrigan said. He added that she went to modeling school at age 15 and wanted to be an actress but enjoyed her runway work. "She did really well, and sometimes she got really well paid," her stepdad said. "But, for her, it wasn't about the money; it was about doing what she dreamed of doing." 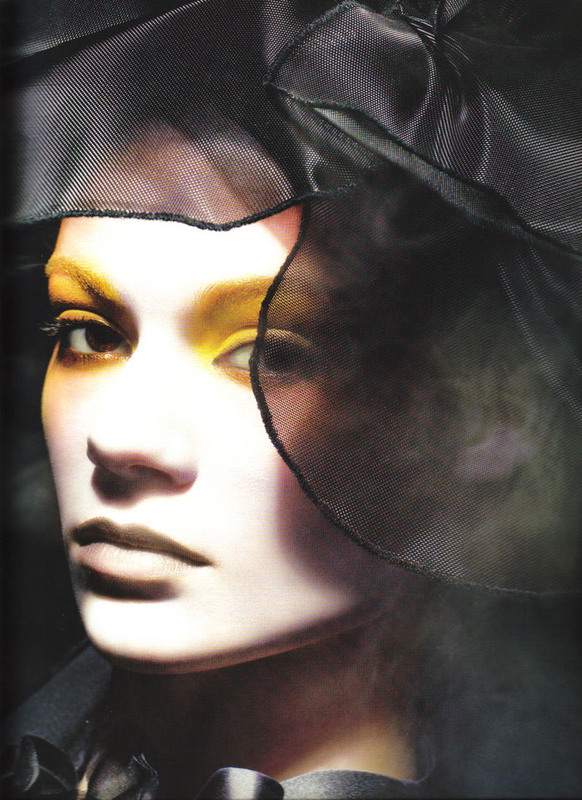 During her brief career, she graced the cover of Italian Vogue in a shoot by famed fashion fotog Steven Meisel. And this summer, she strutted down catwalks in Milan and Paris, modeling for Prada, Gucci, Burberry and Chanel. 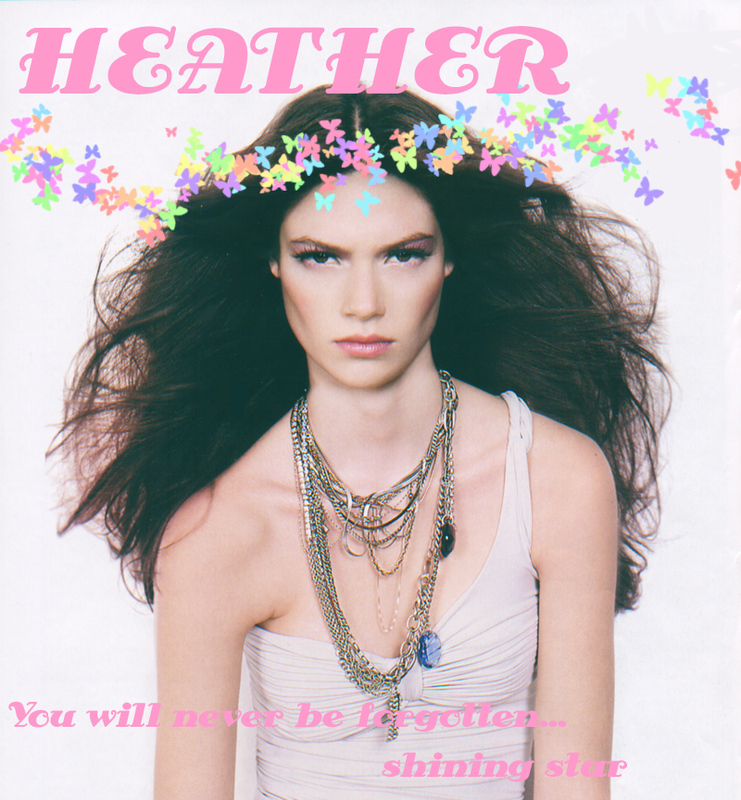 "With haunting dark eyes, strong cheekbones and a face that lends itself to many different looks, Heather is reminiscent of a young Kate Moss," one fashion critic gushed. But Heather off the catwalk wasn't anything like Moss. "She was very grounded, very strong in her faith, a strong Christian," Kerrigan said. "To her, it was a job. She enjoyed it, but she hated anybody making a big deal about it." This is beyond sad especially considering that the Crown Victoria towncar she was in has long been associated with problems of the gas tank catching on fire in accidents and yet they have not been recalled. Its such an senseless death of such a young girl. She has campaigns with Mulberry & Balenciaga coming out right now and many editorials. The sad thing is reportedly she was rethinking modelling, had taken some time off and was deciding what she wanted to do and had just decided to go for it. 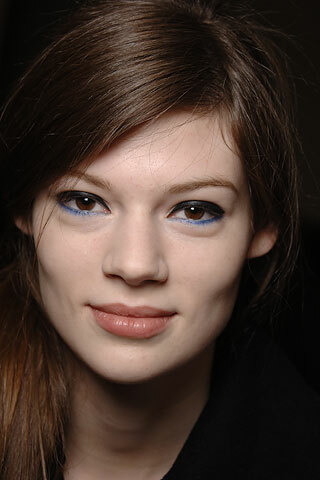 Really and truly, for her being a model for only a year, she shot to the top of her profession quickly. 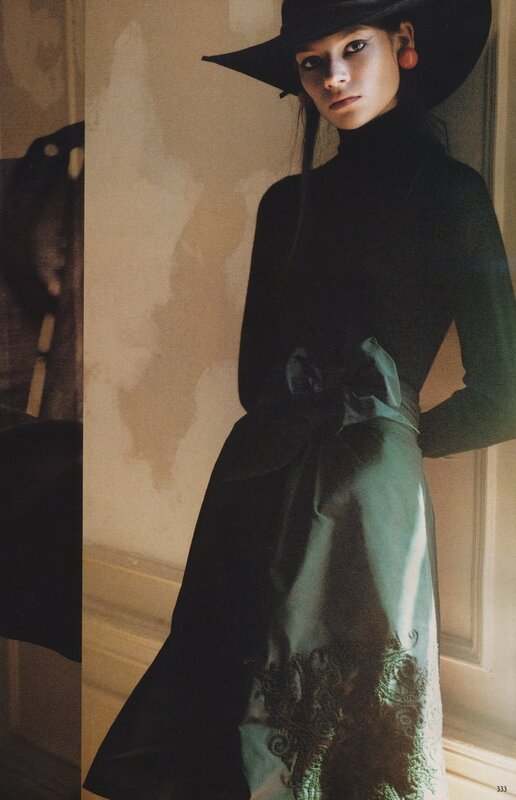 Her Vogue Italia editorials are amongst my favorites. Her obit listed that she had a fiance back in Florida. My heart goes out to her family and friends. Only 19...so very very sad. click any of these 2x to open fully. Bratton from Wesley Chapel High School to the cover of Italian Vogue magazine. Bratton's future as a model ended suddenly July 22 when she died in a fiery car crash on the New Jersey Turnpike. She turned 19 less than a month earlier. New Jersey State Police reported that they had confirmed Bratton's identity Sunday. Bratton was killed when the car she was traveling in broke down in the turnpike's middle lane. A sport utility vehicle rear-ended the stalled car and caused it to collide with another car. Bratton was trapped inside as her car and the SUV caught fire, according to published reports. Bratton's modeling agency said in a statement that she was on her way to Newark Liberty International Airport at the time of the wreck. Three other people, including the driver of Bratton's car, were injured in the wreck. The day of the crash, Bratton's mother, Wendy Kerrigan, had spent hours waiting for her daughter to arrive at Tampa International Airport, a neighbor, Nancy Jean-Baptiste, said Sunday. Pasco County sheriff's deputies came to the Kerrigan home on Key West Court in the Northwood neighborhood later that day to deliver the bad news, Jean-Baptiste said. Bratton was the oldest of five siblings in her blended family. She was known as "Sissy" because she had a younger sister also named Heather, neighbors said. "There aren't that many 19-year-olds that are that squared away," said Paul Walker, a neighbor on Key West Court. Bratton's death was the second blow in a week to the Northwood neighborhood. Bratton's family lives 14 houses away from the family of Raymond Veluz, who was found dead Friday morning with another Wesley Chapel teen on a dirt road in northeast Pasco. Like many people her age, Bratton had a Web page on Myspace.com. On her page, Bratton listed models Kate Moss and Gisele Bundchen as people she hoped to meet one day. By Sunday afternoon, friends had posted their condolences there and at www.heatherbratton .com. "i was crying last night because i miss you," wrote a poster calling herself Coco [but not Chanel]. "i keep looking at our picture together. this isnt fair i need my heather." Bratton lived at home in Wesley Chapel but also shared an apartment with friends in New York, neighbors said. "She spent her last year traveling the world," Jean-Baptiste said. Those travels had taken her to modeling shows in Milan and Paris. On Sunday, Bratton's mother and stepfather were arranging for their daughter's burial in South Carolina. photos from style.com, the fashion spot. so terribly sad. watch the video clip if you can on the link. I know, I heard all of this and can't stop thinking about it. 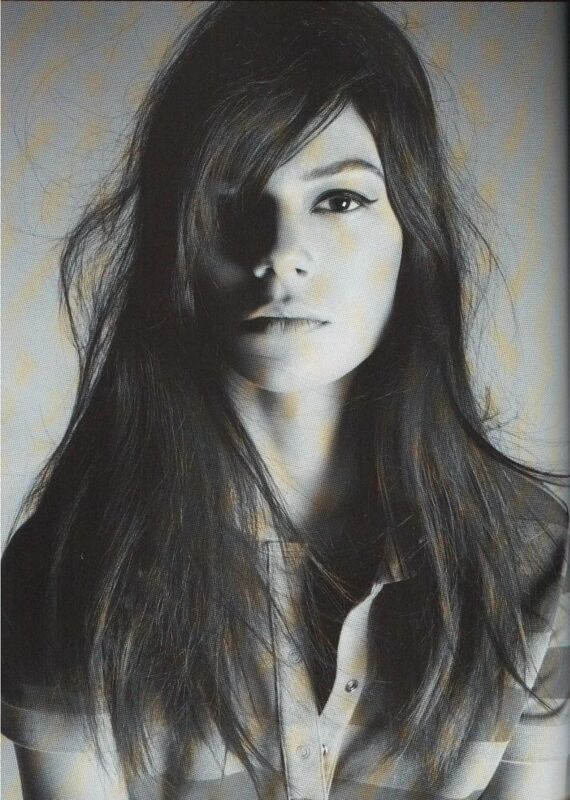 I also found out that Keith Moon's ex=wife young model from the 60's era died in a car accident this week too. What gives? EWR exit of the NJ turnpike. Yeah, right! And, on Saturday morning. If she was even in the car she was snuffed! The transformation is absolutely great! What a tragic accident. She's too young to pass away. My deepest condolences to her family and loved ones. Surely she will be missed.